Amanda Won the Sizzlin’ Summer Cool Down This Week! Are you ready for the Sizzlin' Summer Cool Down? It's going to get a little toasty this summer, and we want to see how you are going to enjoy some family fun. Amanda entered her son and won! Here is what she had to say,"Gavino is keeping cool with his shades on....pool water is a plus!" Thanks Amanda, we hope you all have a fantastic summer!! 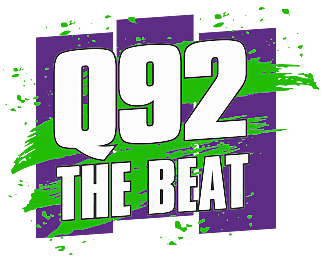 Each week Q92 and Peter Piper will select a photo of your family keeping cool during the summer. Whether it's the family enjoying time at a waterpark, having some ice cream, or some slip 'n slide fun...we want to see it! If you are selected you could win a gift certificate to Peter Piper Pizza for a large pizza and some drinks. To enter your Sizzlin' Summer Cool Down photos enter below.